James Duane Doty, 1858 ca. Judge, territorial governor, Congressman and land speculator, James Duane Doty was largely responsible for the selection of Madison as the capital of Wisconsin. Born in Salem, New York, in 1799, Doty studied law and came west to Detroit in 1818. A protégé of Michigan Governor Lewis Cass, Doty served as his secretary on an exploratory expedition to Wisconsin in 1820. In 1823, Doty was appointed a judge with jurisdiction from Mackinac to the Mississippi and held his first court at Prairie du Chien. Doty moved to Green Bay in 1824. He also served on a commission to establish a military road from Green Bay through Chicago and on to Prairie du Chien in 1830. Although his judicial rulings brought order to the frontier, Doty lost his position in 1832. Doty served as a member of the Michigan Territorial Council from 1833 to 1835, where he began petitioning Congress for the division of Michigan into two parts. He argued that the growing number of residents in Wisconsin was not adequately served by the territorial government in Detroit. In 1836 Wisconsin Territory was officially created. Doty had hoped to be appointed governor, but President Andrew Jackson appointed Doty's rival, Henry Dodge, instead. Out of political office, Doty began making plans for a city on the isthmus of land between lakes Mendota and Monona. In November 1836 he successfully lobbied the territorial Legislature, meeting in Belmont, Wisconsin, to select his proposed city as the capital and to name him its building commissioner. 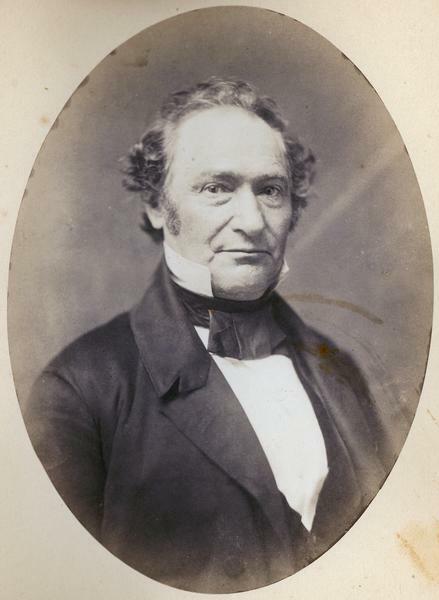 From 1838 to 1841 Doty served as a congressional delegate for Wisconsin Territory before being appointed governor by President John Tyler in 1841. As territorial governor, Doty tried and failed four separate times to get public support for statehood. When his term ended in 1844, Doty moved to Neenah and promoted the townsite of Menasha. He returned to politics again in 1846 as a delegate to Wisconsin's constitutional convention, and after Wisconsin achieved statehood, was elected to the U.S. House of Representatives. There Doty worked to get government aid for the construction of railroads in Wisconsin. He lost his seat in 1853 and returned to his home on an island between Neenah and Menasha. In 1861 President Lincoln appointed Doty Superintendent of Indian Affairs for Utah Territory. Doty negotiated treaties with the Shoshones and restored amicable relations between the government and the territory's Mormons. He became governor of Utah in 1863. Doty died on June 13, 1865, and was buried in Salt Lake City, Utah.